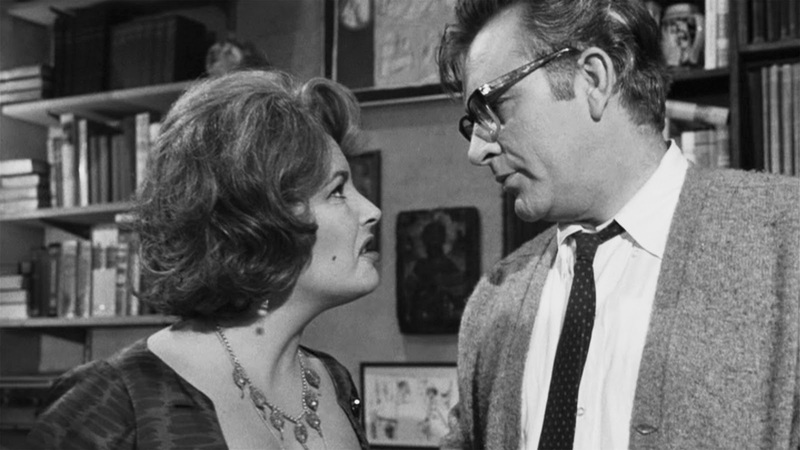 A talky drama about a marriage in turmoil, Who's Afraid Of Virginia Woolf? breaks new ground in frank discourse and features astounding acting performances. It is also over the top and tiresome in its obsession with shouty drunkenness. Middle aged married couple Martha and George (Elizabeth Taylor and Richard Burton) walk home at 2am, after attending a party at the house of Martha's father, the president of the college where George teaches history. Once home Martha and George bicker continuously, his passive aggressiveness a response to her continuous agitation. She then announces that despite the late hour, she has invited another couple for a visit to continue socializing. 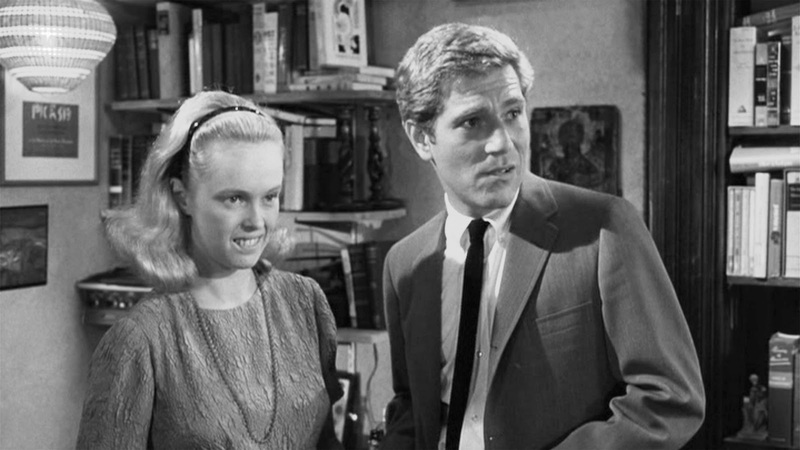 Nick and Honey (George Segal and Sandy Dennis) soon arrive. He is a young and ambitious biology professor at the same college, while she is mousy, loves to drink and gets sick easily. The visitors are at first astounded by Martha and George's incessant war of words, and the night gets weirder when Martha reveals that she and George have a 16 year-old son, conspicuous by his absence. With the alcohol flowing, Martha then proceeds to humiliate George, expressing her disappointment with his lack of ambition. But George has tricks up his sleeve as well, and extracts information out of Nick that he will use to his advantage as the night progresses. An adaptation of the Edward Albee Broadway play sensation, written for the screen and produced by Ernest Lehman and directed by Mike Nichols, Who's Afraid Of Virginia Woolf? (the title refers to a silly song) is at once intolerable and irresistible. Featuring what at the time was considered scandalous and borderline profane dialogue, the idea of spending more than two hours with four distinctly unlikable characters humiliating each other is almost tortuous. But the performances and the appeal of watching a marriage disappearing into a mushroom cloud of carnage turn the experience into a must-see psychological case study. The union between Martha and George has disintegrated into a combative relationship that feeds on its own poison, an example of love's extension snapping into hateful dependency. The acrimony serves as the film's fuel, but is also carried several steps too far. Even for this couple the gamesmanship on display steps into fantasy territory, and the final 30 minutes run on vapours, Martha and George stepping over the cliff and into the domain of the ridiculous. 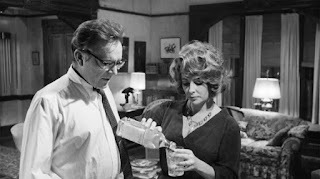 Taylor and Burton do their best to keep a hold of the material, and in many ways Who's Afraid Of Virginia Woolf? is only watchable thanks to the two legendary stars and real-life combustible couple. Yes, of course they are theatrical, but they are also commanding, and Taylor and Burton make it impossible not to be drawn into the tumultuous life of Martha and George. Taylor won her second Best Actress Academy Award, while Sandy Dennis won the Best Supporting Actress trophy. Hers is a well written role, but also much less difficult: Honey spends most of the film in a drunken haze, from where confused but impactful quips are easy to deliver. 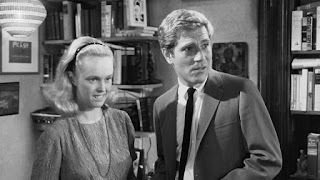 George Segal suffers from the least convincing of the four lead roles, his biology professor too easily falling into Martha and George's lair, neither his ambition nor his naivete ever convincing enough to justify his actions. The film's almost total reliance on alcohol consumption gets quite laborious. Every two minutes drinks are being offered, conspicuously consumed or discussed. Drama dependent on drunken incoherence is cheapened, and the film errs on the side of piling on cruelty based on artificial lubrication. In an astonishing big screen directorial debut, Nichols moves his cameras and perspectives in a remarkable display of agility in confined spaces. The film is more often about reactions than actions, and Nichols plays with focus and placement, highlighting characters in the background and sometimes in entirely other rooms listening in to heighten the drama of not just what is being said, but also how it is being received by the intended and unintended audience. Who's Afraid Of Virginia Woolf? is less than perfect, but it is also an unmistakable milestone. A drama for adults about deeply flawed and literally impaired adults viciously manipulating each other where love, hate and selfishness collide, the world of film was suddenly open to new levels of rude verbal sparring and hitherto unknown magnitudes of intended and collateral psychological damage.